I LOVE salsa. But it has to be good, fresh salsa. I love sweet salsa but don’t love the mango or the peach kind. I also don’t like it spicy. 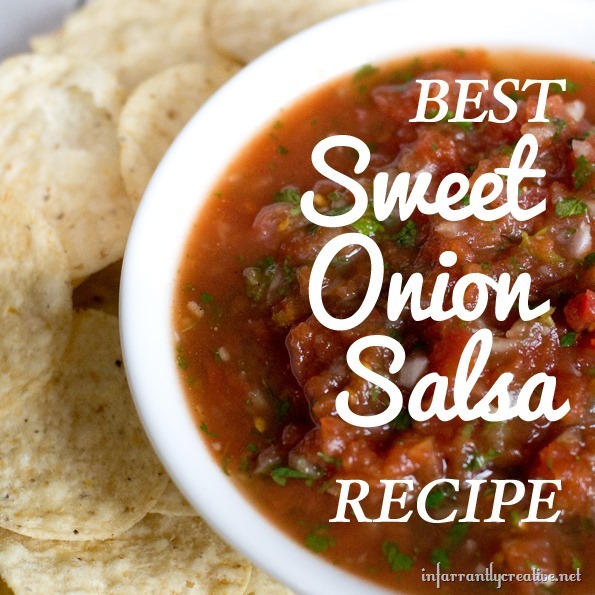 I used to love the Sweet Onion Salsa from Aldi until about a year ago when they stopped carrying the brand I liked and switched to another less yummy brand. I am not a huge fan of canned salsa either. I have tried every kind and it just doesn’t taste fresh enough for me. I know…I know…picky picky picky!